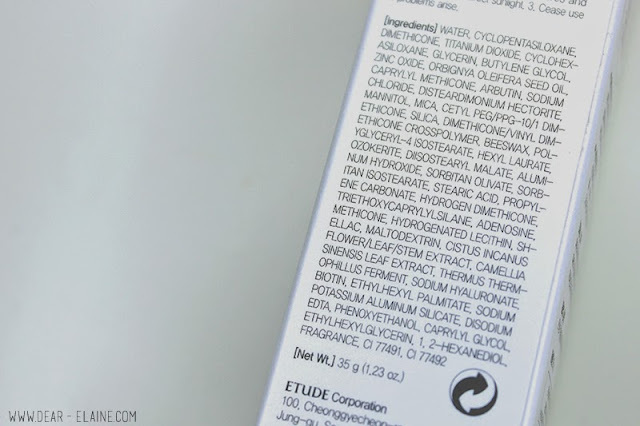 Today I'm going to talk about a product I've been waiting to try out since it's launch, kindly sponsored by the people over at Cosmetic-Love. 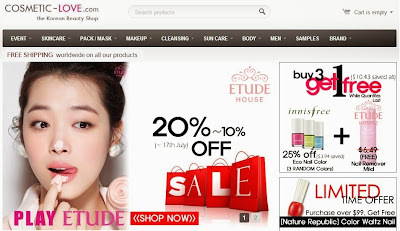 (http://cosmetic-love.com/) They are always having promotions on their products and their prices are very reasonable! BB cream, CC cream... DD cream?! The trend of BB Creams has now been exceptionally popular worldwide after it's success in the Asian markets for the past few years. 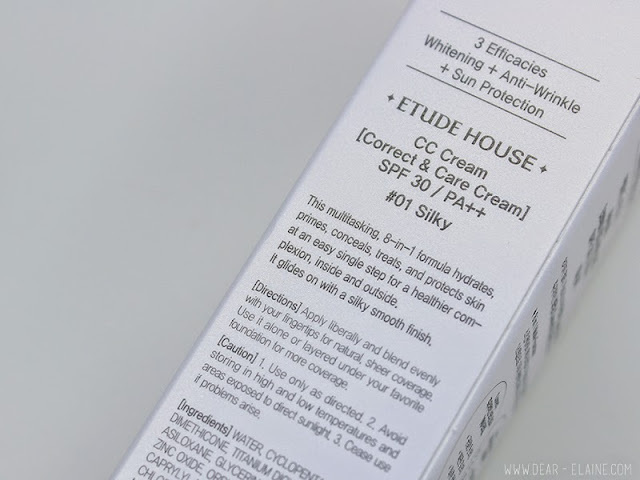 "CC Cream" stands for "color correcting", "color control", and in this case, "correct & care". 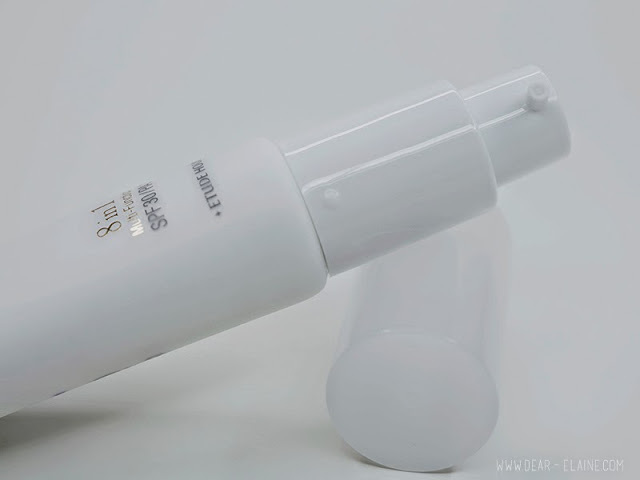 It was developed to retain all the skincare properties of BB Cream while providing skin correcting makeup. 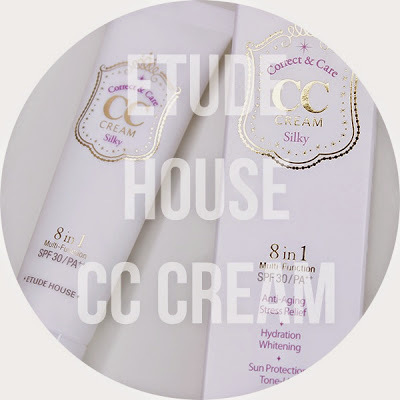 Etude House has two options in their CC Cream line, 01 Silky and 02 Glow. I opted for the Silky one as I tend to get oily in my T-zone after a long day. The texture is exactly that, silky, smooth, without shimmer or shiny particles. 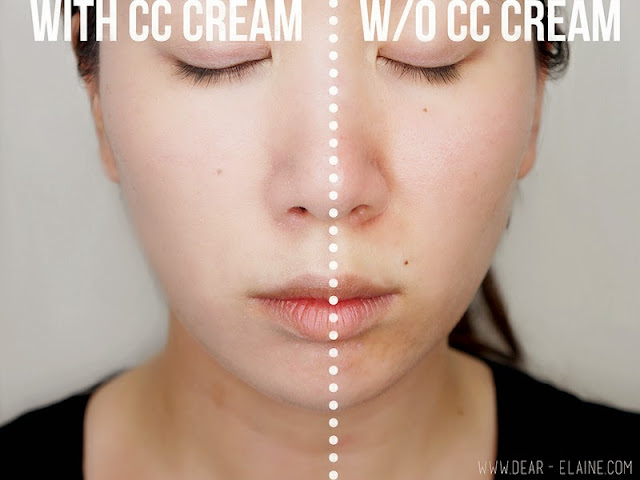 CC Creams tend to have less coverage as opposed to BB Creams, but provide color correcting properties for an even finish. This is great for those who don't need too much coverage and are looking for something light. Fresh out of the tube, it comes out white with tiny balls of color adjusting particles that burst upon applying. Therefore it is recommended you apply this with your fingers so that you can make sure it's applied smoothly. I do have to say oil control is not a trait of this product as it tends to get a bit oily after a couple hours of wear. However, with some powder and oil sheets, it's quickly resolved so it's not that big of an issue. Personally, I have an uneven skin tone and experience the most redness across my cheeks, nose and chin. However, since it feels a lot lighter than foundation and even BB Cream, I think for summer I can get away with just using CC Cream with a little bit of concealer and powder. For someone who has extremely dry skin on the cheek area, it is not enough as a moisturizer. However after applying moisturizer, it applies very smoothly.It definitely brightens up any dull areas on your face and helps minimize pores in photos so I would say this is a great makeup base for those who wear foundation or BB Cream or alone for those fortunate enough to have great skin! The remaining photos are with concealer and powder, but no foundation! Get yours today at Cosmetic-Love! wow girl you're so pretty here :) ! This is really a nice review and the pictures are really beautiful. I didn't try this CC cream yet. 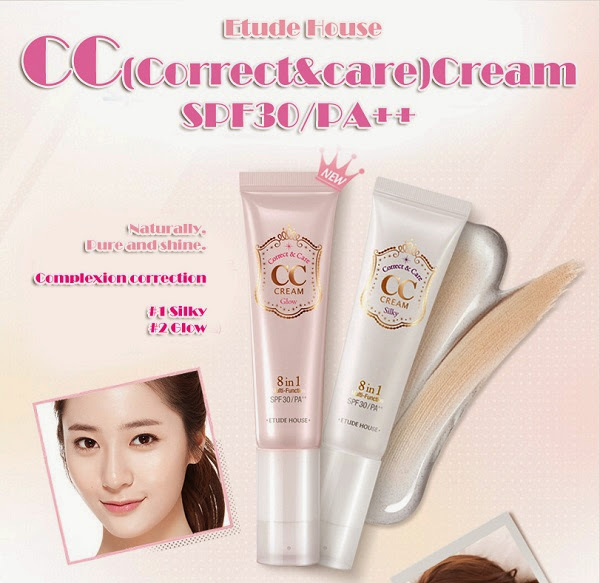 I want to try it at some point, but I'm waiting for another CC cream (the face shop) to try first. Thanks for the review! I need to get myself some of this! You have a pretty blog! I shall follow it! I actually tried this in the GLOW version. I find it pretty pointless because it doesn't cover my imperfections at all and barely evens out my skin tone. I think it's because I have too much redness and acne scarring. It's good to use as a shimmery base or even to highlight some points with a more natural glow. Can't say I use it too often though. Great review!! Love the before and after comparison! Yeah! I think if you have uneven areas it works as a nice base or a very sheer cover! Ahh, my skin is actually really dry in the cheek area, so I tend to look for more moisturizing products! I haven't tried other CC Creams as of yet, but I've been seeing a lot about the Tony Moly one too! Oh! Let me know how you like the face shop one! I'm interested to know too! Thanks for stopping by! Nuuuu, dem angles yo!! All 'bout dem anglessssss! Yeah, I still would need to layer on some foundation or bb cream if I'm heading out to meet people, but I have really big pores so I'm all about products that will cover that up! I happen to be allergic to certain makeup primers so I'm happy this one isn't making my skin cray cray! Thank you! It's a sheer product, but the base is actually one of the most important products to my makeup routine! 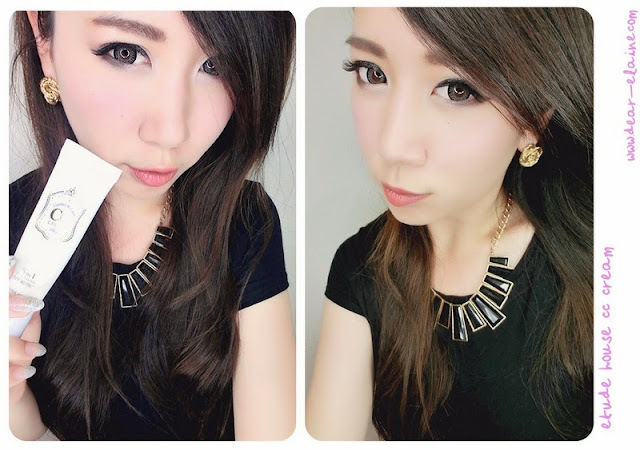 These contacts are Princess Mimi Sesame Gray by Geo! I agree! It's fantastic as a base! I wish it had more oil-control but other than that it is great! Great review, I have to try it out! 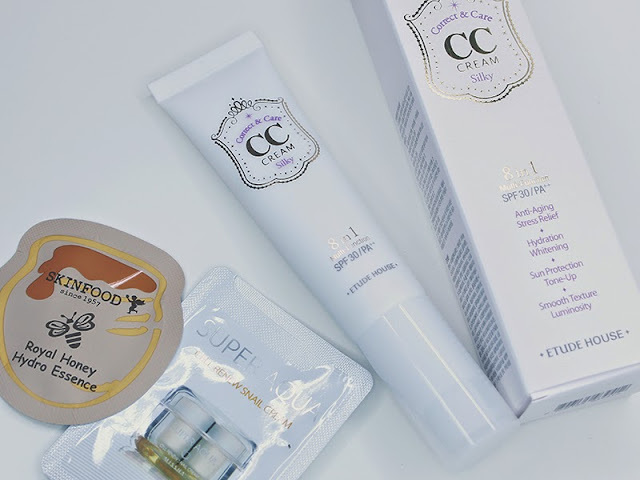 I've wanted to try a cc cream since reading about them. This looks great! Aww, thank you! I'm very flattered *__* Hope you have a great weekend cutie! How is the Tony Moly one?? I've seen it everywhere and heard good things! Thank! Me too! All the reviews have been pretty good, and I can see why! Haha, I'm still working on it! I want to take better pictures for people too! But thank you, you're very sweet!!! The always very nice empaquecomo apparently well adapted to the color but still see it even just a little pale. Honestly it does not lead me to try this CC Cream is I've read in other reviews and you'll put it here as a CONS do not have good control of oily face. But many thanks for your review! your looks absolutel pretty! 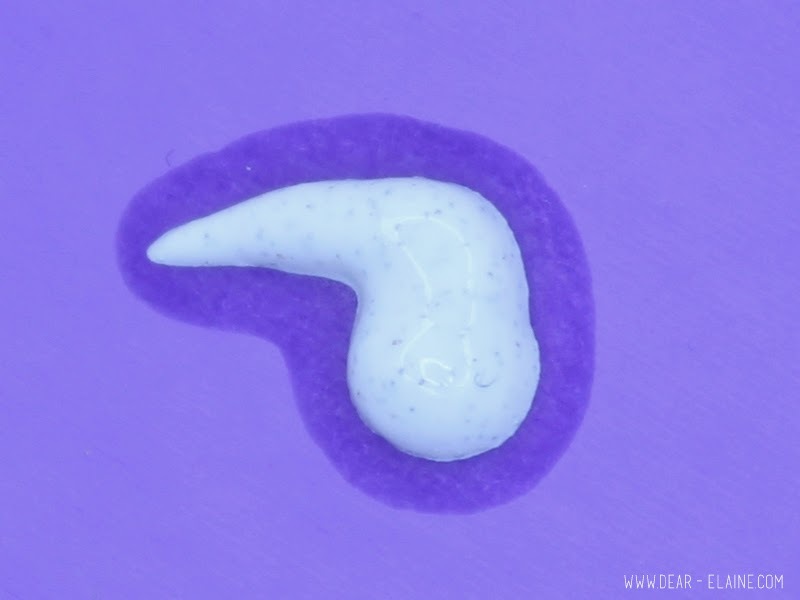 Looks like a great CC Cream! Great review! I'm a new follower. Hope you will check out my blog. My face is only oily in the t-zone but I need products that aren't too drying cause my cheeks are extremely dry! I wonder if it actually adapts to darker skin, I should test it on my sister! Thanks for all that information! 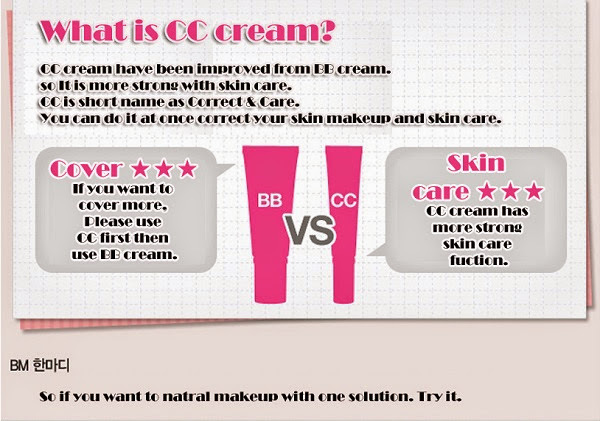 I've always been confused with what the difference is between BB and CC cream! 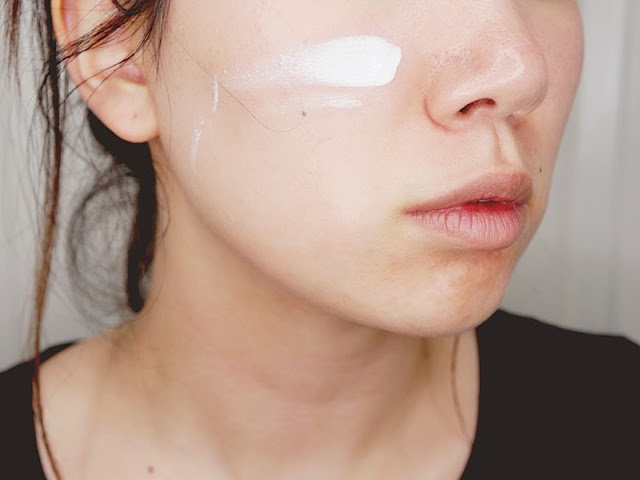 I have the Tony Moly CC Cream and it's wonderful! P.S Your blog is so beautiful and neat! 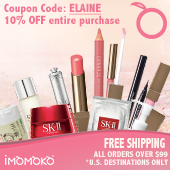 Thanks for following Elaine! wow, they make your skin looking fresh! Wauw, looks like a good product, I like the 8 in 1 thing! I've never used BB/CC creams before so i think i'm going to buy it once and try it out :)! Wow such a great post! 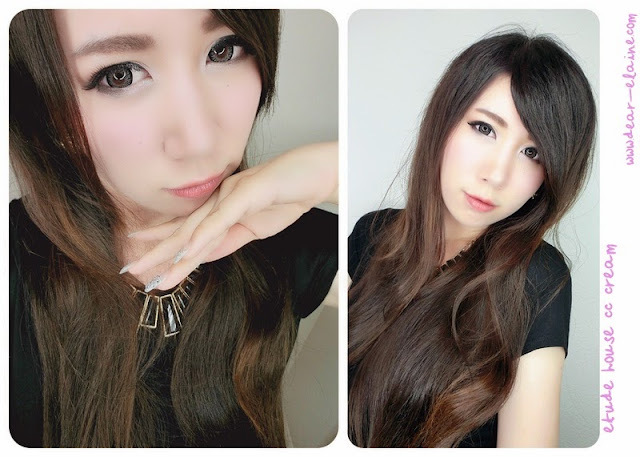 I love the photo where you showed one side with the product and one without. Hi there, I've just nominated you for the Versatile Blogger Award. Visit http://amismagicbox.blogspot.com/2013/08/the-liebster-and-versatile-blogger.html for more info. Also, do you want to follow each other? This post was really helpful! I know now more about CC creams than before. Maybe I will buy this products someday. Thank you for your blog and amazing reviews which I always enjoy to read! Thank you for stopping by Gina! If you find any other good ones let me know! Love how light CC cream is, especially in summer! Thank you cutie! ♡ *A* I've been wanting to try the Tony Moly cream too! I would definitely give BB creams a try because they feel so much lighter than foundations! Thank you for visiting! I hope you get to try out CC creams one day too! 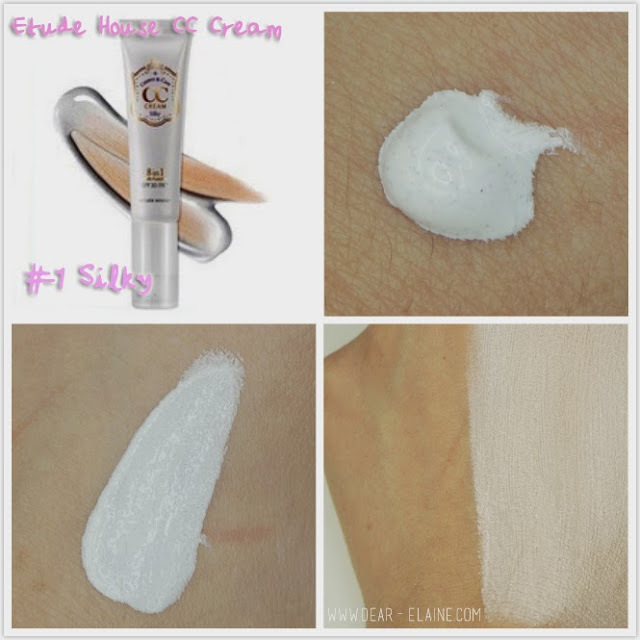 I've tried a couple of Etude House's BB creams, but it really comes down to your needs and preferences. If you need more coverage and something lighter than a foundation with SPF, I would say go with a BB cream. If coverage is not an issue for you and you just need something light and natural to even out your skin color, I would say try a CC cream. your skin c: Hence the light coverage. If i wear CC Cream every day,Will my skin will better? errmaagherrd! I never received a notification that you replied me yo! Great Review! It looks so flawless on your skin! I actually thought of getting the aqua petit jelly cc foundation but heard much negative reviews on combined skins-oil skins. I am so buying this! !